Cost cutting has ground to a halt among mid-cap international exploration and production (E&P) companies, but balance sheets have strengthened on the back of rising cashflows, a new report shows. Unit costs dropped to $32.6 per barrel in 2016 from $39.4 per barrel in 2014 as companies tried to adjust to lower crude prices. Costs crept back up to $33.2 per barrel in 2017, according to a new report on the sector by Westwood Global Energy Group, based on 25 companies. However, cost cuts since 2014 and a reduction in the Brent discount in the peer group’s revenue has resulted in the breakeven oil price for the group dropping to $44.8 per barrel in 2017 from $61.5 per barrel three years ago. Westwood analyst Robert Stevens said the lower Brent breakeven price meant most firms in the group should be profitable this year, regardless of cost cuts stalling. Mr Stevens said: “The breakeven is around $45 per barrel, but the Brent crude price is currently $20 higher than that, so these companies don’t need unit costs to fall any further, with a few exceptions. The companies in this year’s study were slightly different to those which featured a year ago, when Mr Stevens said the sector was “out of the emergency room, but still in hospital”. Larger companies like Marathon Oil and Hess have been added to the analysis, and their exposure to relatively high cost US onshore assets has caused the overall cost base and breakeven price to go up. Mr Stevens said: “We reported in November that cost cutting was slowing down. Now, unit costs are pretty much flat. They’re not going down any more. “Overall, as an industry benchmark, I think it is fair to say we are not going to see costs coming down much further if oil prices stay where they are. “That’s a negative but there are positives. Higher oil prices mean companies are making more money. The report authors said reductions in unit DD&A costs achieved to date had been largely impairment driven. They said the effect of structural, longer-term cost savings made during the downturn would only become evident in subsequent years, once more of the projects sanctioned when oil prices were low have come online. Company-by-company, there is a huge variation in breakeven prices. Singapore-based KrisEnergy had the highest Brent breakeven in 2017 of nearly $80 per barrel. 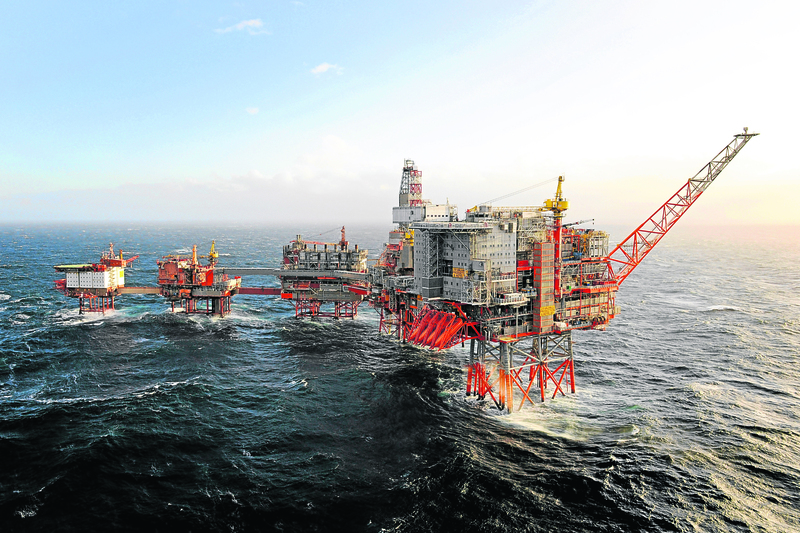 Australian firm Woodside had the lowest breakeven of $27 – with Scandinavian duo Aker BP and Lundin also below $30. Fourteen of the 25 companies were between $40 and $55. With both the highest breakeven and the highest net debt/EBITDAX ratio, KrisEnergy was described as “clearly the most financially distressed of the 25 companies”. When it comes to resource replacement strategies, several of the companies in the peer group face a dilemma between US unconventionals and sticking with international conventional exploration. Mr Stevens said Marathon had stopped conventional exploration to focus on US onshore plays. Meanwhile Hess is divesting from conventional assets outside Guyana, which has become the largest new oil province to emerge since pre-salt Brazil. In terms of exploration, he said Brazil and Suriname were also “exciting”, though there are doubts about the Barents Sea after a number of dry wells in 2017. Mr Stevens is also slightly sceptical about the profitability of US shale. He said: “If you look at Marathon, it makes a big song and dance about prioritising US shale, but the company makes more from international E&P than US onshore. “Marathon has made a loss from US onshore for the last three or four years – its international business is the cash arm. Asked whether consolidation was on the cards, Mr Stevens pointed to Harbour Energy’s renewed efforts to take over Santos, and DNO’s recent acquisition of a majority stake in Faroe Petroleum. Mr Stevens added: “E&P companies have cut costs as much as they can, have stabilised financially, and can now make a profit at above $45 per barrel.